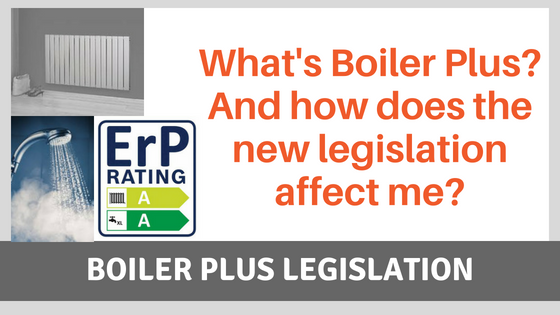 What’s the new Boiler Plus legislation? What does Boiler Plus mean? Boiler Plus is a new set of regulations (part of the Heat In Buildings policy) affecting the energy efficiency of heating systems and has raised the bar for both manufacturers and installers. Why is the legislation changing? The main motivation for these changes is to phase out inefficient boilers to reduce carbon emissions in line with EU targets. It’s part of a wider plan known as the Government’s Clean Growth Strategy which is helping to combat climate change as well as reduce energy bills and allow people to have greater control and choice. “This Government has put clean growth at the heart of its Industrial Strategy to increase productivity, boost people’s earning power and ensure Britain continues to lead the world in efforts to tackle climate change. When are these changes coming into force? From April 2018 the new standards will apply whenever a boiler is installed in an existing heating system anywhere in England. This means when households in England replace an existing boiler or purchase a boiler for the first time in an existing dwelling, they will start to make savings right away. How is the legislation changing? The most significant change is the minimum performance standard for domestic gas boilers in England. 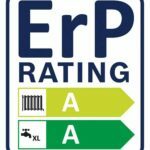 The minimum efficiency level of all boilers manufactured and installed will be set at an ErP rating of 92%. flue gas heat recovery (recycles the heat from flue gases which would usually be lost. Instead this heat preheats hot water). What will happen to homeowners and installers who do not comply? Anyone who fails to install boilers in line with these new regulations is breaking the law and could be prosecuted. The Gas Safe Register can also refer safety concerns to the HSE. Invoicing a customer for work which they claim to be legal but isn’t, is fraudulent under trading standards. Homeowners who knowingly ignore these standards could also face prosecution and fines of up to £5,000.